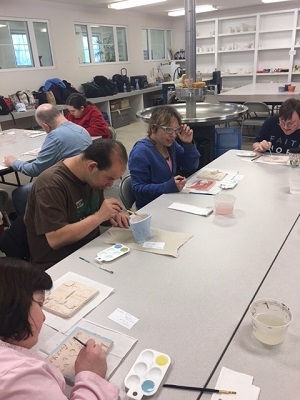 The mission of the Therapeutic Recreation Division is to provide access to recreational opportunities for Monmouth County residents with disabilities in order to enhance physical, cognitive, emotional, and social functioning, as well as a sense of belonging to the community. We provide specialized year-round recreation programs for individuals with special needs and are also available to recommend other appropriate Park System programs, community links, and support. We are located at the Dorbrook Recreation Area Activity Center in Colts Neck. Dorbrook Recreation Area is home to the Challenger Place Playground and Sprayground. We understand that not every person with a special need desires specialized programming. Therefore, through our Inclusion Process we will assist and advise prospective participants and families who are interested in general recreation programs offered through the Park System. Each day is filled with exciting activities such as sports, games, arts and crafts, water activities and more. Each week features a different theme and our programs and activities are tailored to make each session a unique experience. Campers are grouped according to age and ability level. Recreation Challenge offers eight consecutive weeks from the end of June until the middle of August each year. This is a daily registration camp, meaning you can attend the whole summer, certain weeks, or certain days throughout the summer. Recreation Challenge is a CSOC/DCF contracted camp. 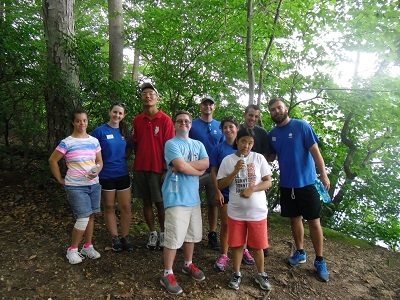 The camp is intended for individuals with developmental delays, intellectual disabilities, or neurological impairments who are able to function in a 2:1 camper to staff ratio. Campers must be able to take care of their own personal hygiene. Acceptance into the program is based on assessment by Therapeutic Recreation staff. The successor program to Recreation Challenge for our adult campers, Adult Adventures offers eight consecutive weeks from the end of June until the middle of August each year. 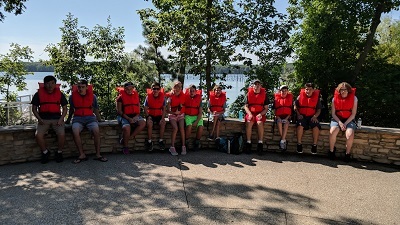 Adult Adventures is intended for individuals with developmental delays, intellectual disabilities, or neurological impairments who are able to function in a 2:1 camper to staff ratio. Campers must be able to take care of their own personal hygiene. Funding may be available for individuals in the DDD/Medicaid Supports Program and for those on the CCW who are in FFS. Acceptance into the program is based on assessment by Therapeutic Recreation staff. Summer Capers is for high-functioning individuals with Autism Spectrum Disorder (Level 1). Campers must be able to attend to their own personal hygiene. Each day is filled with exciting activities such as outdoor games, water activities, swimming, day trips and more. This camp is typically held the third week of August each year, after the completion of Recreation Challenge and Adult Adventures. Summer Capers is a CSOC/DCF contracted camp. Acceptance into the program is based on assessment by Therapeutic Recreation staff. Are you ready for an adventure? 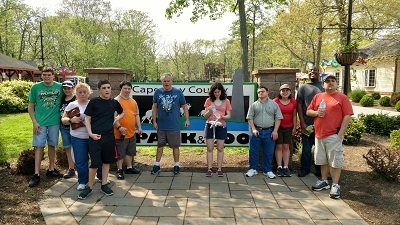 Capers Quest is a week-long camp for high-functioning individuals with Autism Spectrum Disorder (Level 1). Campers must be able to attend to their own personal hygiene. Each day is filled with exciting activities: a scavenger hunt, archery, water activities, and more! We will be traveling to different parks each day of the week. Capers Quest is typically held the fourth week of August each year, after the completion of Summer Capers. Capers Quest is a CSOC/DCF contracted camp. Acceptance into the program is based on assessment by Therapeutic Recreation staff. 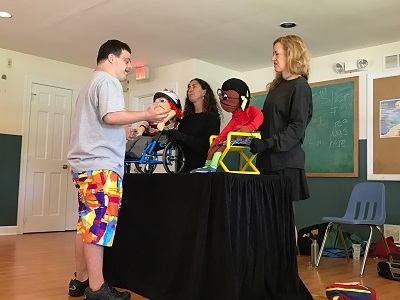 KOTB is an interactive puppet show designed to teach children about acceptance. A Japanese style of puppetry called Bunraku is used to bring the puppets to life and helps to create an atmosphere where children feel comfortable with the characters in the show. Each show typically consists of three program topics and runs approximately 60 minutes. There is a limit of two shows per day. The maximum group size per show is 75. Spray and Play is a program available to organized groups serving individuals with special needs. 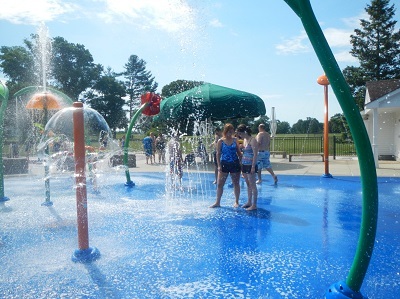 Come to Dorbrook Recreation Area’s Sprayground and Challenger Place boundless playground located in Colts Neck. The Sprayground combines water fun with the safety of a cushiony surface. Spray and Play allows special needs groups sole access to the Sprayground facility and is closed to the public during that time frame. Our intent is to provide an environment that is not over-stimulating and enables children to interact and learn appropriate play with the help of your staff. Your group can also visit Challenger Place, the first Boundless Playground in the state of New Jersey, designed for children of all abilities. Challenger Place Playground cannot be reserved for use by groups and will be shared with the general public. Spray and Play runs from the beginning of June until the end of August, Monday-Friday from 9:30-11 a.m. and is by reservation only. Groups that show up without a reservation will be turned away. Program availability and age requirements are listed below, if no programming season is listed, it runs all year. Our day program is designed to provide comprehensive individual plans for adults with developmental disabilities in our community. The focus is to provide activities that are designed to foster the acquisition of skills, build positive social behavior, develop interpersonal confidence, increase independence, promote personal choice, and to maintain and enhance physical health and well-being. MCRAC is an approved Day Habilitation Program in the DDD/Medicaid Supports Program. The program takes place at the Dorbrook Recreation Area on Mondays, Wednesdays and Fridays. Transportation is available from designated points within the county. Night Out is an evening social program for teens and adults. Drop-offs and pick-ups will be at the Dorbrook Recreation Area, unless otherwise noted. Participants must be able to function in at least a 1:4 staff to participant ratio. Programs include dinner and movie nights in the community, trips to iPlay America, mini golf, and more! Travel to exciting events and destinations outside of the county throughout the year. Drop-offs and pick-ups will be at the Dorbrook Recreation Area. Participants must be able to function in at least a 1:3 staff to participant ratio. Trips include sporting events, museums, zoos, festivals, and other places of interest. Bring your appetite and your culinary skills! During each program we will be preparing, cooking, and enjoying a salad/appetizer, an entree, and a dessert. These programs are held at the Dorbrook Recreation Area Visitor Center Kitchen unless otherwise noted. Participants must be able to function in at least a 1:2 staff to participant ratio. Discover the basics of swinging, putting and etiquette while playing a few holes of golf! Introduction to Golf is a weekly program in the summer, on Monday nights at the Bel-Aire Golf Course. Golf clubs and balls are provided if needed. Are you a budding actor or actress? Expand your horizons, share your talents, and join us! We will be singing, acting out skits, and putting on our own performance for family and friends to see. Performance takes place during the final session. Program takes place at the Tatum Park Holland Activity Center. Looking to challenge yourself physically and mentally? Our Adventure Quest program is for you! Experience exciting activities geared towards individuals looking to connect with their peers in a stimulating environment that promotes social, emotional and physical growth. Participants must be able to adhere to a 1:3 staff to participant ratio. Participants can express themselves through art! This club offers time for socialization, creative stimulation, and self-confidence building through the use of color and form with support and positive feedback. Explore the opportunity to utilize skills and techniques introduced in previous sessions. From printmaking to sculpture, mixed media and found art, the club members will explore many avenues of creative expression. Learn about the Park System's ADA Compliance & Inclusion Services. Go to the Monmouth County Special Needs Registry homepage.